Using a manufactured pergola kit can be an easy way to get your pergola up and running in no time at all! Why not invite some friends round and make an afternoon of it? A pergola can be really great fun to build, and will be well worth it when you see what you've achieved, or you are relaxing with a cool drink, and maybe having friends around for a spot of 'al fresco' dining. Bliss. Can't wait! 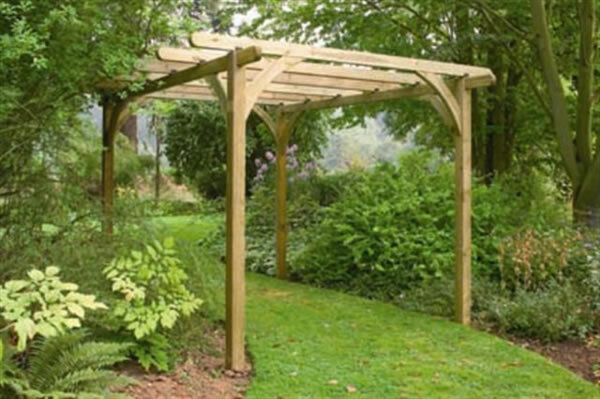 There are so many pergola kits about, there is almost certainly one that will suit your garden perfectly. Escape from the rigours of life by creating the most wonderfully relaxing and beautiful outdoor living area. Building a Pergola Made Easy! 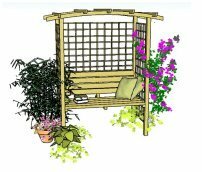 Don't think you are up to making a DIY pergola, with all the cutting and notching needed to build your own pergola, and yet are keen to build one of these fantastic structures for all the benefits it will bring? If you're reluctant to pay for someone to come and build it for you a manufactured pergola kit can often be a good compromise. 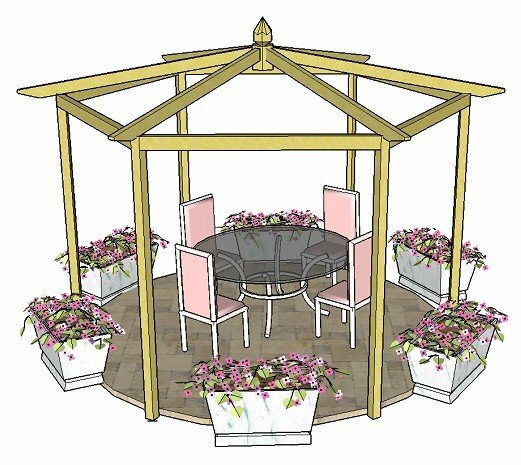 There are some lovely pergola kits around, in wood, metal and vinyl, all of which give different effects, allowing for lots of choice, to fit in with the style of your garden and the feel you might like to create. Would you like something to make a feature of a corner? Does it need to act as an extension to the house? Will it be a focal point for a sculpture, plant or even a hot tub? Would you like to join two parts of the garden with a gorgeous flower-covered walkway? Do you need a shady retreat? Consider these things carefully before you buy. 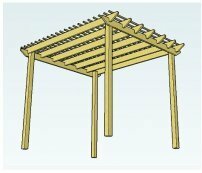 Take a look, too, at some pergola ideas to help with the positioning, type and style of your pergola. The great thing about these manufactured pergola kits is that everything is measured and cut for you, saving lots of time and effort. All you have to do is put it together - and Bob's your uncle! There you have it. You can start getting your climbing plants growing straight away, and adding interesting accessories to give a welcoming and personal touch. It is possible to buy pergola kits in many different styles and materials, the most popular being listed below. From here, find lots of other examples of pergola designs within each of the categories. These pergolas have fabulous oriental-style curved rafters and turrets. Intricate yet delicate designs give a light, airy and romantic feel. Bring peace, serenity and romance into your garden. Beautiful garden structures with the added protection of a roof. Pergolas, arches and arbours are well worth the effort to install: more so, I feel, than any other type of landscaping structure. Given careful thought to placement and style, a pergola can be marvellous addition to any garden, bringing height, interest and a welcoming place to relax and unwind. Here's to a great summer of outdoor living. Enjoy!